Can you spot in the picture below the Kapuso hunk actor Mikael Daez?! Yup, one of the children here is the hunk actor everyone is dreaming of! The picture is shared by Mikael via his official Facebook Fanpage. 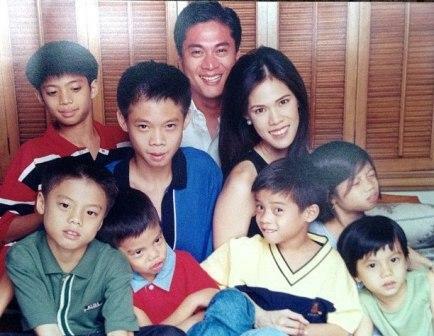 In the said photo, Mikael is together with his family - his father, mother, and siblings! Actually, Mikael's siblings are sharing the remarkable jaw which becomes a trademark of Mikael in showbiz. Mikael is currently seen in the GMA afternoon soap, "Sana ay Ikaw Na Nga" pairing him with Andrea Torres.